It’s important to know what is and what is NOT covered! It’s damaged... But is it covered? – Robert A. Bacine, Esq. 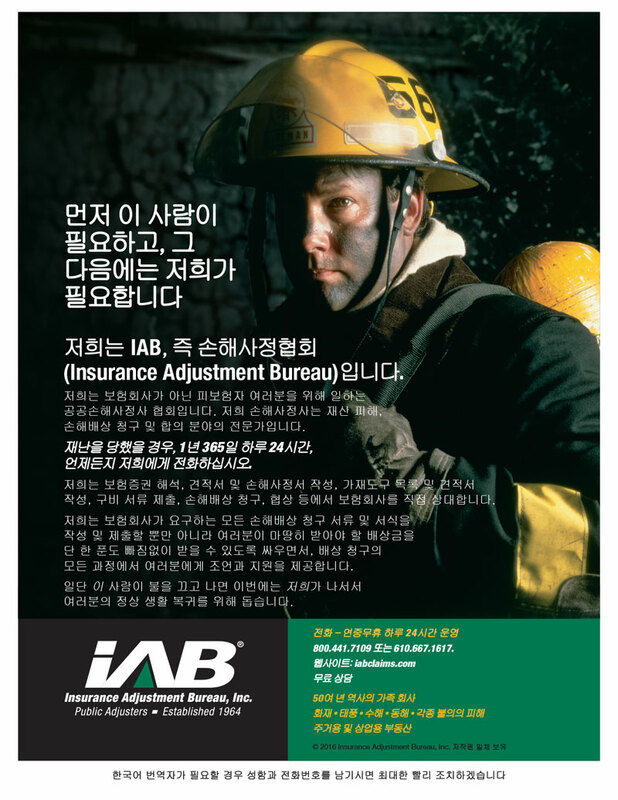 The Insurance Adjustment Bureau, Inc. (IAB) is a privately held firm of public adjusters. We are advocates for property owners with residential, commercial or industrial property damage. We work for you, NOT the insurance company. Our interest is to help you get the settlement to which you are entitled—in a timely manner. We’ll be your advocates, to make sure you recover every dollar you deserve. Whether by fire, wind, water, lightning, vehicle or any other cause, the hours immediately following damage to your property are critical. Insurance companies move quickly to protect their interests, and so should you. 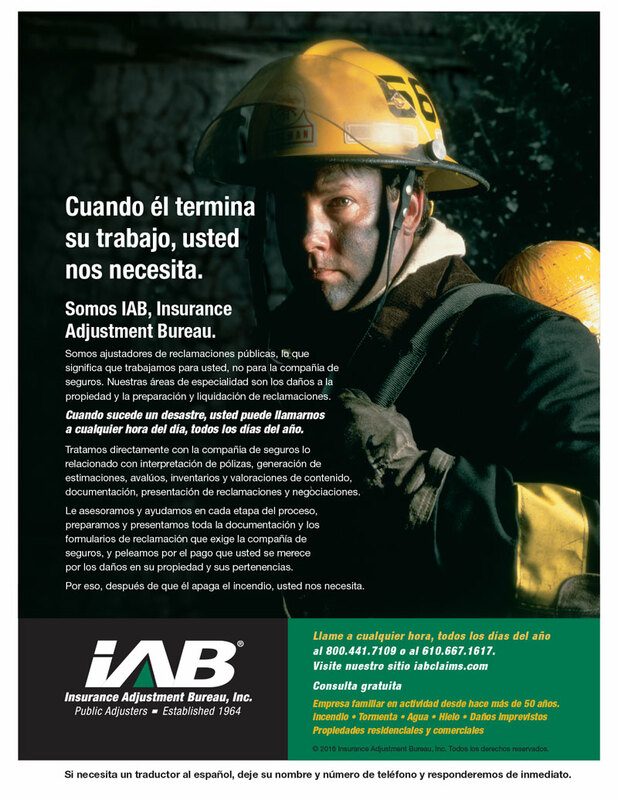 While most people think to call their insurance agent first, your first call should be to IAB. Make your first call immediately after disaster strikes, regardless of the cause—to IAB. We are available around the clock, 365 days a year. Don’t jeopardize your insurance settlement. The sooner you call our team of highly specialized and experienced professionals, the sooner we can get to work and help you recover from catastrophe.